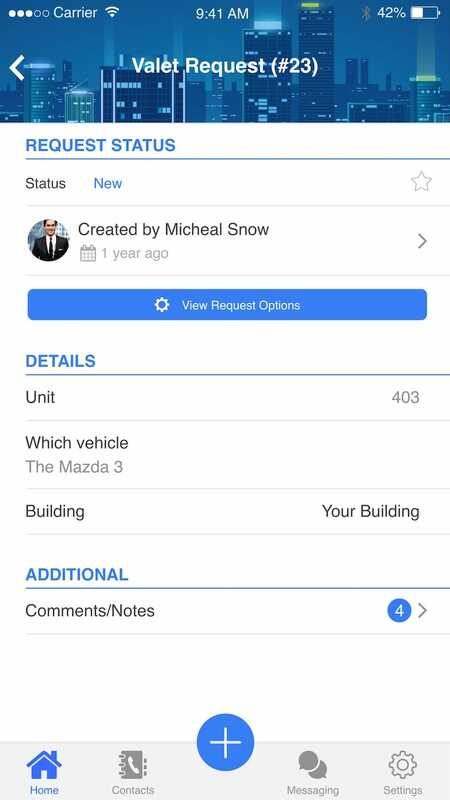 Property Apps has designed a Valet Request module offering tenants with simplified access to requesting vehicles. This module has been designed by studying valet systems at the busiest restaurants across North America and digitizing their best practices. Coordinating valet parking requires an effective system with a strong high of organization and punctuality. Our online property management app provides Landlords with the tools provide a simplified parking solution. 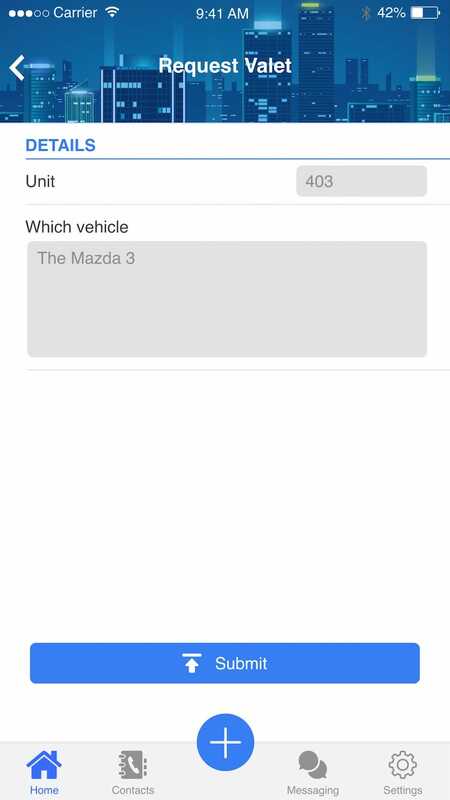 Our valet request module allows Landlords to request a valet directly from their smartphones with the ability to include both a specified timeframe, photos, and continued communication after the initial request, in the event of delays. Property Apps’ online property management software amalgamates the entire parking operation into one simple, organized workflow. 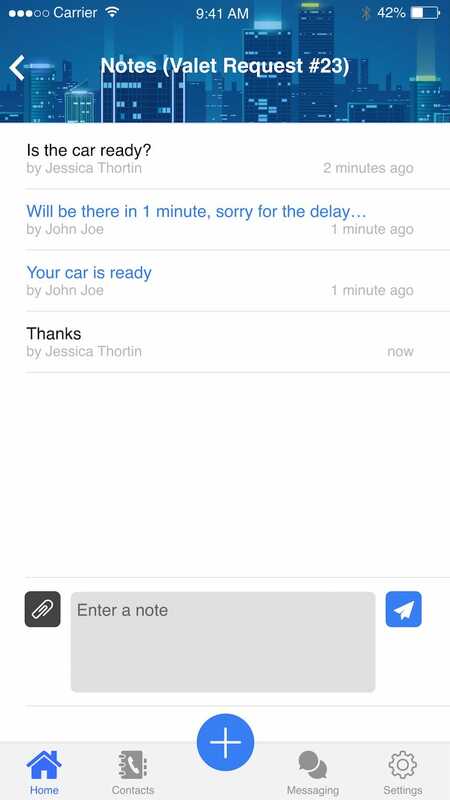 Our product fosters an efficient parking process without coordination issues, by offering cohesive, efficient real-time communication between involved parties. 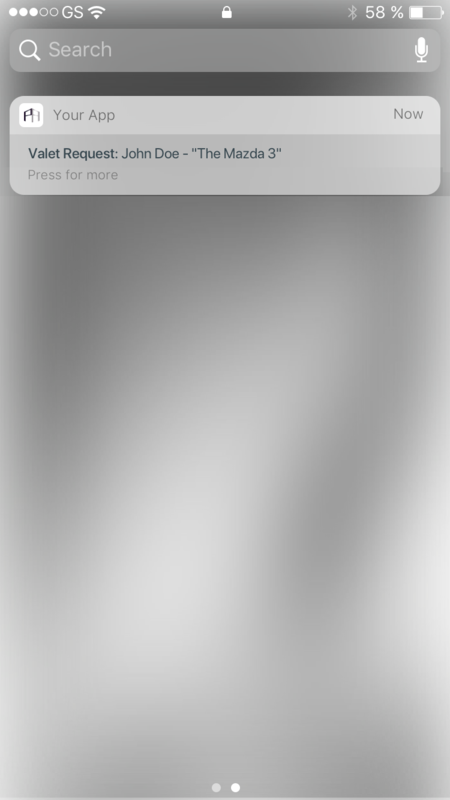 Directly from their smartphones, tenants can place a valet request, and get a notification when a parking agent confirms their request and as their valet is approaching. Our research shows that through the automation of the Valet Request function, vehicles were delivered 35% faster than through manual processes. This resulted in higher tenant and employee satisfaction as the rate of gratuity increased efficient request fulfillment.